A possible move by President Donald Trump to hurt Venezuela’s oil industry could prove a shot in the arm for the Xi Jinping and Narendra Modi administrations. If the United States decides to deploy a slate of sanctions that it is said to have drafted against the Latin American nation, American refiners — the No. 1 consumer of Venezuelan crude exports — would be forced to cease purchases. That may mean more supply becomes available for the OPEC producer’s other big customers: China and India. The opportunity to soak up the extra supplies from Venezuela at potentially cheap prices would be a boon for the Asian countries, where the governments are trying to support slowing economic growth. In China, Xi’s administration is trying to implement stimulus measures to shield the public from the effects of its ongoing trade war with the United States. Meanwhile, Modi’s party is being weighed down by populist pressures before national elections due by May. 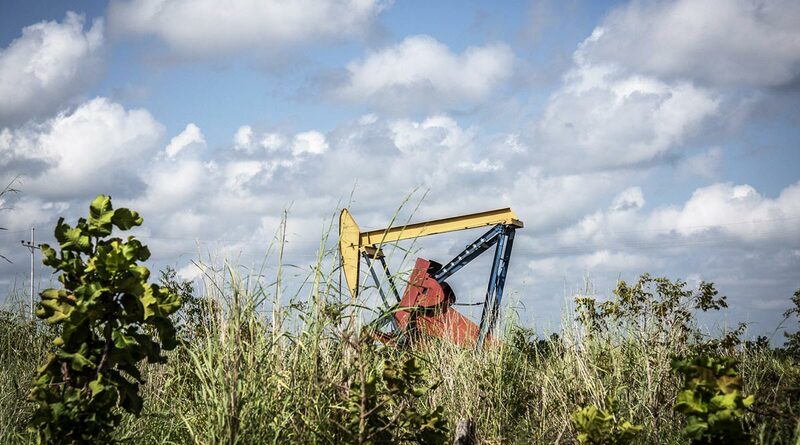 Meanwhile, Venezuela likely will be eager to hold on to them as customers, especially after years of economic turmoil has battered the nation’s production and left it with few other buyers in the growing Asian oil market. Other major crude buyers such as South Korea and Japan largely have stopped purchases from Venezuela, and even China and India have reduced imports. China imported about 340,000 barrels a day of crude from Venezuela in the first 11 months of 2018, accounting for 3.7% of total shipments from overseas, government data show. The Asian nation had bought about 437,000 barrels a day, or about 5.2% of its foreign oil, from the Latin American country in 2017. Venezuela was the fourth-biggest crude supplier to India — after Iraq, Saudi Arabia and Iran — in 2018, when it received about 330,000 barrels a day, 13.6% lower than a year earlier, according to the Directorate General of Commercial Intelligence and Statistics, an arm of the ministry of commerce and industries. The supplies accounted for about 8% of total imports. Reliance Industries Ltd. and Nayara Energy Ltd. are the country’s only buyers of Venezuelan cargoes. One point of uncertainty is whether the potential U.S. action will be similar to measures against Iran that has forced nations across the globe to limit purchases from the Persian Gulf state. Currently, traders in the crude market assume that only American refiners will be required to halt Venezuelan purchases if sanctions are imposed. It’s unclear if the Trump administration plans more expansive restrictions. Any disruption in Venezuelan supplies also is likely to increase demand for heavy-sour crudes — the dense, viscous and relatively more sulfurous varieties that the Latin American nation produces. This could raise competition for similar supplies pumped in the Gulf of Mexico such as Mars, which are not as dense and sulfurous as Venezuelan supplies but is closer in chemical characteristics than U.S. shale oil. It could also draw more Middle East cargoes toward America. Mars oil’s premium to benchmark West Texas Intermediate crude jumped to $7 a barrel on Jan. 23, the highest level in five years. U.S. refiners “will need to hustle to secure alternate foreign crude oil supplies to replace short-haul Venezuelan heavy sour with Mexico and the Middle East such as Iraq and Saudi Arabia being the most logical replacements,” said John Driscoll, the chief strategist at JTD Energy Services Pte Ltd.